He has worked out a lot and came up with his second movie Kanche which ended as a blockbuster all over. Varun tej and Pragya Jaiswal played the lead roles in the film which is said to be a periodic drama and is set during the pre-independence era. Rajeev Reddy and Sai Babu Jagarlamudi produced Kanche on First Frame Entertainments banner. Sensational director Puri Jagannadh directed this mass entertainer which has been made on a budget of Rs 20 crores. Disha Patani played the female lead in the film and Varun tej played a Loafer in the movie. Revathi and Posani Krishna Murali played the other important roles in the flick. The music of the movie composed by Sunil Kashyap has already been a huge hit. The flick released between huge expectations and the movie received decent response all over. The film managed to release in over 1000 screens across the world and the movie collected Rs 3.5 crores on its first day. 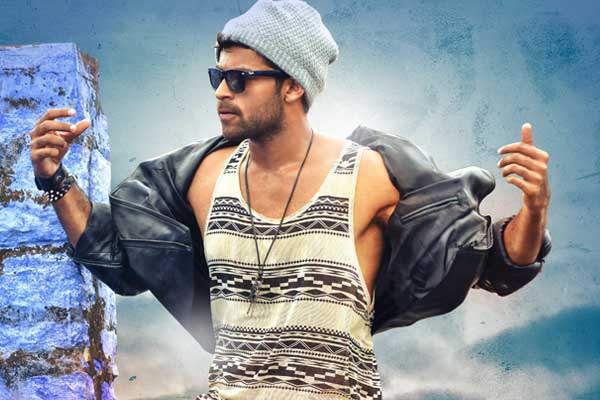 Varuntej’s rugged performance along with his rough look and the mass elements are the major highlights of the movie. Disha Patani has been glamorous throughout and the music has been impressive. C Kalyan produced the movie on CK Entertainments and Sri Subha Swetha Films banner. It collected Rs 1.5 crores on its second day and the movie collected Rs 5 crores in 2 days. Varun tej has been quite delighted with the response of the film and the movie unit celebrated the success of the movie. With no big releases in the coming days, Loafer is expected to collect decent money in its final run. The collections have been quite strong and is expected to cross Rs 10 crore mark by the end of this weekend. Varun tej signed his next movie in the direction of Gopichand Malineni which will start rolling in January next year. Nallamalapu Srinivas and Tagore Madhu are the producers. Stay tuned for latest news and updated figures. Don’t forget to share it online with friends over social networking. Sir pls check ur review the music has been pathetic and it’s been told by everybody.